What exactly does it mean to be trendsetters in an industry? Simply put, it is someone that leads the way in ideas. In 2014 when the founder of Primal Therapeutics first googled the words “cannabis massage” no responses came back. Google, the search engine used by millions everyday had no advice to offer her. The search continued online for hours then days before she walked into her local medical marijuana dispensary and purchased every single topical that existed. After using topicals on her own surgical wounds she knew their healing capabilities on a personal level but had no idea what their implications would be using cannabis from head to toe. What began with a whole lot of research turned quickly into development and making cannabis massage into something that was more than just applying cannabis to a patient and calling it cannabis massage. What has made Primal Therapeutics the trendsetters in the field is their passion for knowledge and spreading the word of what a healing and therapeutic modality cannabis massage is. After years of exploring the topic Primal Therapeutics now offers educational classes to fellow massage therapists around the world. Every year American Spa magazine releases their projected list for the upcoming years various spa trends. This year Primal Therapeutics is considered the trendsetters for cannabis in the spa space. You can read the full list of descriptions with links to each section by clicking here. The 2018 trends include the following categories in no particular order. 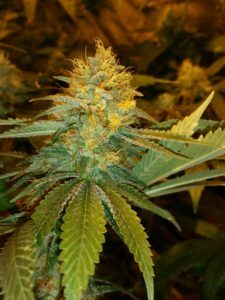 She noted the first thing that made her realize cannabis was an effective treatment for massage and all kinds of various spa treatments was the fact she no longer needed acupuncture. After being a massage therapist for many years cannabis massage gave her a new lease on her worn out and tired wrists. “It was a total game changer for me and my business” Person said. As Primal Therapeutics approaches their fourth year in business in Colorado they could not be more proud to be a part of this list. Founder, Jordan Person said recently, “My Grandma always used to call me a trendsetter! She could have never guessed this would be my future.” Cannabis saved Person’s life and she has since gone from being an advocate to an activist and a cannabis consumer to a cannabis business owner.